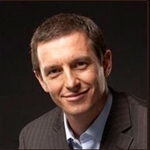 The new millennium saw Ten sign up comedian Rove McManus (pictured), whose late night show was not renewed by Nine after its ten-episode run. Ten was to launch Rove Live in October 2000, and it continued through until the end of the decade. McManus went on to win three TV Week Gold Logies for Most Popular Personality on Australian TV. The success of Rove Live led to McManus’ company Roving Enterprises producing other programs for Ten including Skithouse, Before The Game, Are You Smarter Than A 5th Grader?, Hamish and Andy specials and The (7PM) Project (pictured). Digital television was launched across the five major capital cities on 1 January 2001, and a couple of months later Ten embarked on an ambitious new format for Australian TV — Big Brother. The reality show, based around contestants being filmed while in an enclosed environment with little communication to the outside world, had already been a hit overseas and did much to revive Ten’s 7.00pm timeslot and its weekly eviction shows were ratings hits. The Big Brother franchise led to Ten adopting other reality formats, including Australian Idol (Pop Idol), The Biggest Loser, So You Think You Can Dance, The Bachelor and MasterChef (pictured). The success of the genre led to Seven and Nine networks eventually adopting similar programming strategies. But like with all genres, reality formats carry risk and not all were success stories — The Hothouse, The Resort, The X Factor and Yasmin’s Getting Married never took off. Drama series Above The Law, starring Alyssa Jane Cook from E Street, was not a huge success but there were better results from the Melbourne-based The Secret Life Of Us. White Collar Blue and Rush provided new takes on the police drama genre. Heroes Mountain recreated the 1997 Thredbo mountain disaster. More recent dramas CrashBurn, Puberty Blues, Offspring (pictured) and Wonderland have covered human relationships. The Society Murders: The True Story of the Wales-King Murders, Bikie Wars: Brothers In Arms, Hawke and Underground: The Julian Assange Story were based on real-life people and events. Neighbours continues as Australia’s longest running drama series, soon to celebrate its 7000th episode and 30 years on air. Lifestyle show Live This replaced the gap left by Healthy Wealthy And Wise in 2000 but was only to have a short life. A decade later Ten has revisited the genre again with The Living Room (pictured). Ten became a broadcast partner of AFL in 2002 and adopted premier motor sports events Formula 1 Grand Prix and Bathurst 1000. The network covered the Commonwealth Games in 2010 and is currently covering the 2014 Games from Glasgow. The 2014 Olympic Winter Games from Sochi marked the network’s first Olympics coverage since the Summer Games in Seoul in 1988. 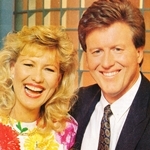 Good Morning Australia with Bert Newton came to an end in December 2005, replaced by 9AM With David And Kim (2006-2009), The Circle (2010-2012) and Studio 10 (pictured). The Working Dog team who had produced The Panel had launched their next project, an improvisational comedy called Thank God You’re Here. The format was franchised around the world. The team has since launched a new comedy show, Have You Been Paying Attention? Ten also had success with game show Talkin’ ’bout Your Generation, hosted by Shaun Micallef and featuring team captains Amanda Keller, Charlie Pickering and Josh Thomas. Former Australian Idol judge Ian ‘Dicko’ Dickson fronted talk show Can Of Worms before handing over the host’s role to former The Circle co-host Chrissie Swan. 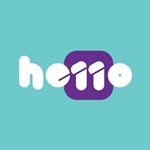 Ten was the first Australian commercial network to launch a full-time secondary channel, One HD in March 2009. The then 24 hour sports channel was joined by entertainment-based channel Eleven in January 2011. Longtime Ten programs Neighbours and The Simpsons were then shifted to Eleven. 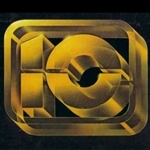 With the advent of Eleven, Ten sought to expand its demographic reach for its main channel, embarking on its ‘news revolution‘ which included current affairs program 6PM With George Negus (later shifted to 6.30) and additional news bulletins. The strategy was short-lived, as were moves into early morning news with Breakfast and Wake Up. 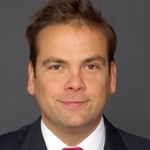 Canadian broadcaster CanWest sold its majority shareholding in Ten in 2009, leading to billionaires James Packer, Lachlan Murdoch (pictured), Gina Rinehart and WIN owner Bruce Gordon investing in the network. This has led to a period of instability at the executive level at Ten. 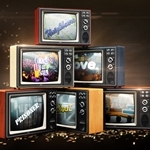 This instability plus the advent of more competition for viewing options and a downturn in the advertising market has led to challenging times for Ten. Plans to relaunch the schedule in late 2012 with new titles like The Shire, Being Lara Bingle, Don’t Tell The Bride and Everybody Dance Now saw ratings dip to record lows — with the network ending the 2013 ratings year in fourth place behind ABC. 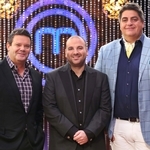 The network has seen some recent ratings success from MasterChef and Offspring as well as sports coverage including Big Bash League, 2014 Winter Olympics and the 2014 Commonwealth Games. As it celebrates its 50th anniversary, despite its recent successes Ten is still in a challenging phase. Throughout its past it has shown its ability to rise above adversity — challenging the traditional ratings leadership of its older rivals and bringing innovative formats to the landscape. It will surely do the same again.